23 Things You Need to Know About This Year's Super Bowl Halftime Performers! 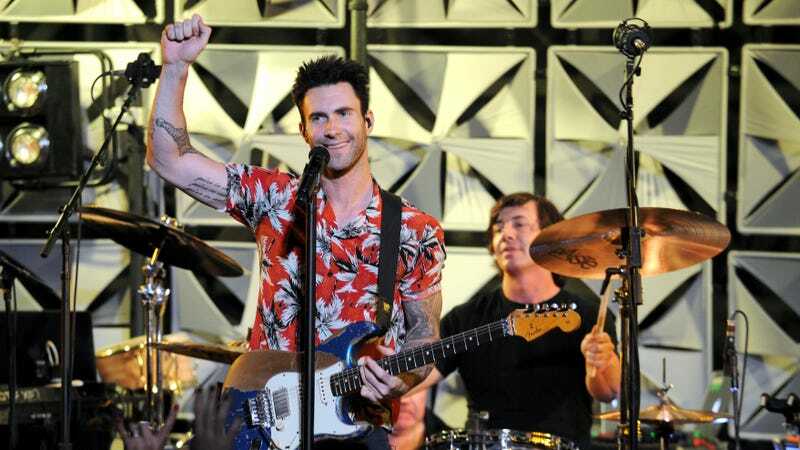 The NFL just announced who’s headlining next year’s Super Bowl halftime show, and, per Variety, it’s gonna be Maroon 5. Maybe you know them. Maybe you don’t. In case you don’t, we’ve assembled a helpful list of everything you need to know about them. Not might want. Need. 1. Maroon 5 is a band. 2. There are not five of them. There are seven of them. 4. Maroon 5 is a terrible name for a girl. 5. Barqueline, pronounced “BARK-linn” à la Jacqueline, is a wonderful name for a girl dog. 6. Adam Levine is the guy. 8. I really liked the “Harder to Breathe” video when I saw it on VH1 in 2003. 9. Some of the Songs About Jane are good, according to Jezebel Senior Writer Frida Garza. 10. I think that’s fair. 11. I remember watching Adam Levine’s episode of MTV Cribs back in, like, 2004 or 2005 and thinking the bamboo wallpaper he had on his bedroom walls looked cool. 12. I don’t think I would think it looked cool now. 14. “She Will Be Loved” is a Maroon 5 song. 16. “Uptown Funk” is not a Maroon 5 song. 17. Trace Lysette was in their “Girls Like You” video. 18. Trace Lysette is hot. 19. She’s also a really talented actor. 21. I just think she’s great. 22. Trace Lysette should play the halftime show. 23. I should play the halftime show. Report: Finally, A Reason To Watch The Super Bowl!